I use Amaroq on my phone almost every day to access my multiple Mastodon accounts. However, when I’m using my old iPad mini gen 1, I don’t really want to use it because a blown-up iPhone interface doesn’t really work well for anything. 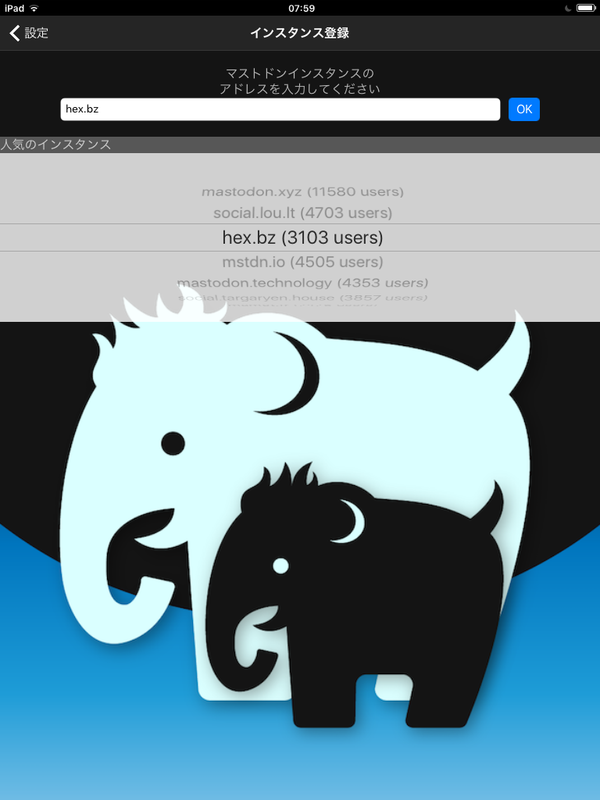 So last night I tried every Mastodon app with tablet compatibility I could install (one didn’t install because of the old iOS). In general most of the apps just use an interface that looks similar to Amaroq (especially the tap-to-uncover content warnings). Some use the swipe-to-switch timelines I believe Tusky was the first to use. There were none that actually used the iPad’s screen size advantageously, which is a bit sad. All of them just stretched the toots from side to side, so they become a bit harder to read than in the narrow columns of Mastodon’s web client. All of the apps I got working also supported multiple instances, which is a big plus since Mastodon encourages having multiple accounts. If you just want to know which apps are the best, you can scroll down to view a ranked comparison table I’ve made. 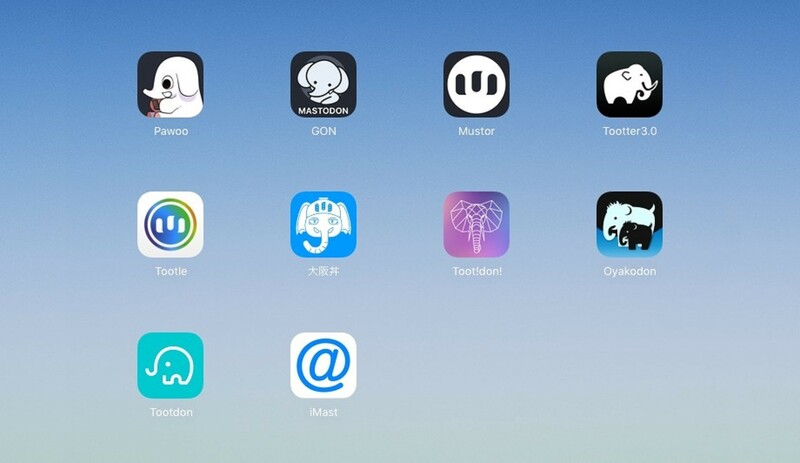 I’m going to do the reviews in the order the App Store gave me the apps in when searching “Mastodon”. Pawoo.net currently is the largest instance and it’s run by Pixiv. The app shows how serious they are to provide a good experience to their users, as it looks great, and works well. It even has a media view on Profiles! However, when first started up, it made me agree to long TOS which I couldn’t read, since it was in Japanese. The Timeline settings also didn’t view correctly (white-on-white text, see image), which is a problem that stems from the iPad and iPhone having different default colors for interface elements. GON is completely in Japanese. It also doesn’t open the sign-in-window in a Safari Overlay, so iOS can’t autofill passwords (or already be logged in). It was a bit of a hassle to have to enter my password and my two-factor key every time I found an app that didn’t support this. Including a font size setting in the app is great for accessibility. * Mustor also offers a light and a dark mode. It is ad-supported, but the ads are unobtrusive: They only appear at the bottom of menus. There’s also an option to pay to remove ads. Mustor doesn’t open the sign-in-window in a Safari Overlay, so iOS can’t autofill passwords. Tootter also greeted me with a big wall of text. Its’ EULA is in English, and includes standard legalese that’s probably needed for App Store compliance. 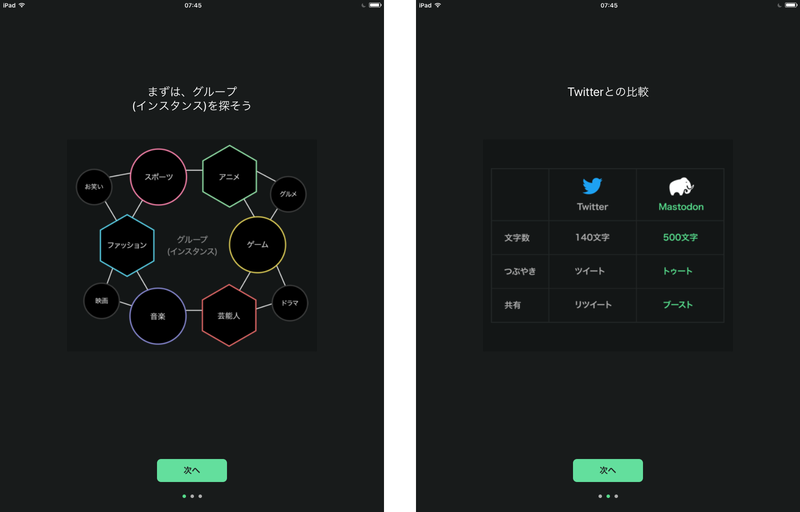 Funny enough, the app is in Japanese only. Tootter seems to be aimed at new users, since it starts off with a neat tutorial as shown below, and it also includes a great instance picker. There’s an instance list by number of users and one by category. One can also just type the instance name in the search box and log in like in other apps. The interface has a nice green accent color and an always-visible instance switcher at the top, as can be seen on the screenshot. 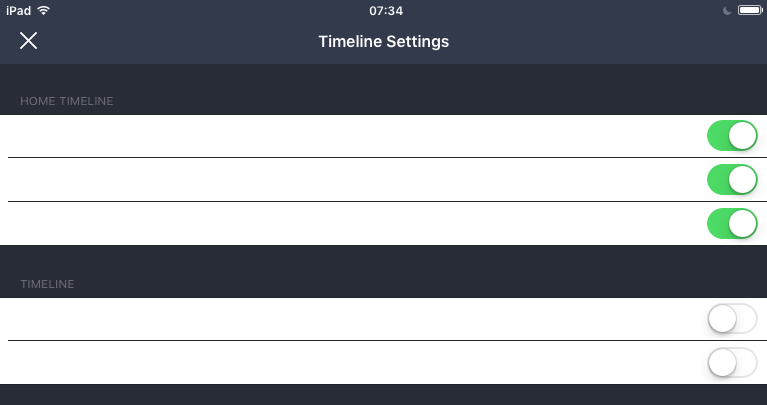 When logging in on Tootle, the app will automatically display the instance description and allow for a preview of the local timeline, mimicking the new start page. 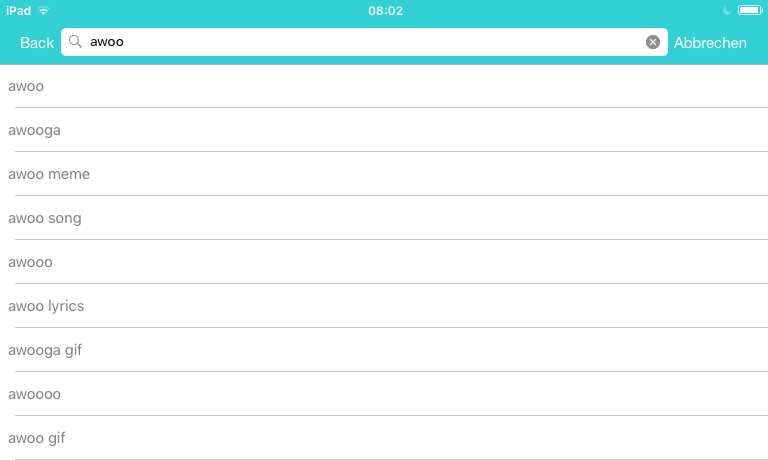 Tootle allows the user to pick which tabs to display at the bottom of the screen, which is handy. It also includes some non-standard timeline filters. It does, however, insert ads into the timeline. 大阪丼 seems to only support mstdn.osaka, so I couldn’t test it. Toot!don! 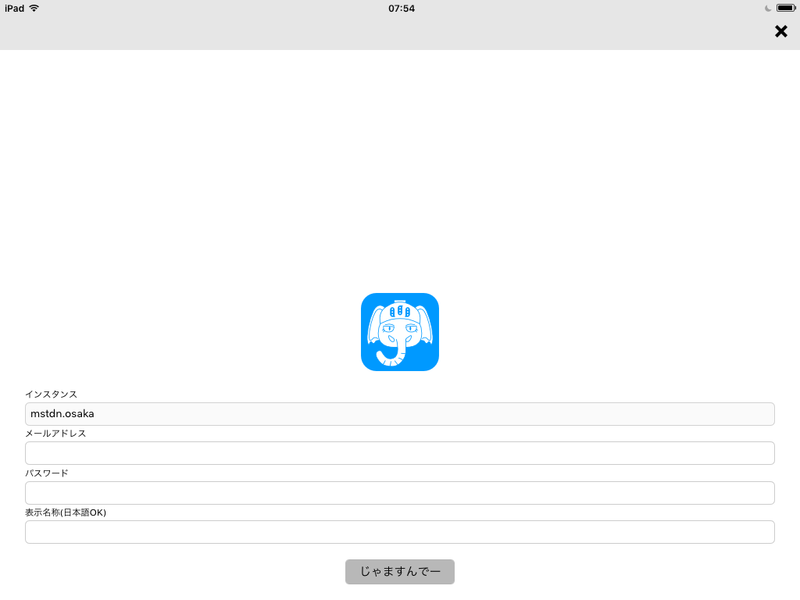 is only in Japanese, has a simple enough instance picker, but doesn’t open the sign-in-window in a Safari Overlay. That’s all moot since it doesn’t display text, probably for the same reason Pawoo’s menus don’t show text. The ads it inserts in the timelines do display, however. I guess it’s better on phones. Oyakodon includes a rudimentary instance picker, which allows to choose between a handful of seemingly random instances. The most notable part is that Pawoo.net isn’t included, but music.pawoo is. It doesn’t open the sign-in-window in a Safari Overlay, so iOS can’t autofill passwords. It also only supports Japanese and doesn’t seem to work for awoo.space right now. Tootdon has two exclamation marks less than Toot!don!, but a instance picker that does what looks like search engine predictions. Since instance lists are readily available, that could’ve been made more helpful. It shows the instance description, previews the timeline. When tapping an instance, it just opened that instance in Safari, so it didn’t actually log in on the app. I don’t know what the thought process was here. The help was in Japanese, so I couldn’t gain any insight there. Edit: Maybe I did something wrong when testing, but I’ve since started using Tootdon as my main app, and it now seems to work fine on my iPad, too. I’ve updated the table to reflect this, it actually got a perfect rating! Tootdon is a pretty good app with a cool light theme, working multi-instance-support and some bonus features like a “trending hashtags” view that may or may not be your style. iMast is in Japanese, very cryptic, and leaves way too much space below a toot. It doesn’t seem to have been tested on tablets at all. 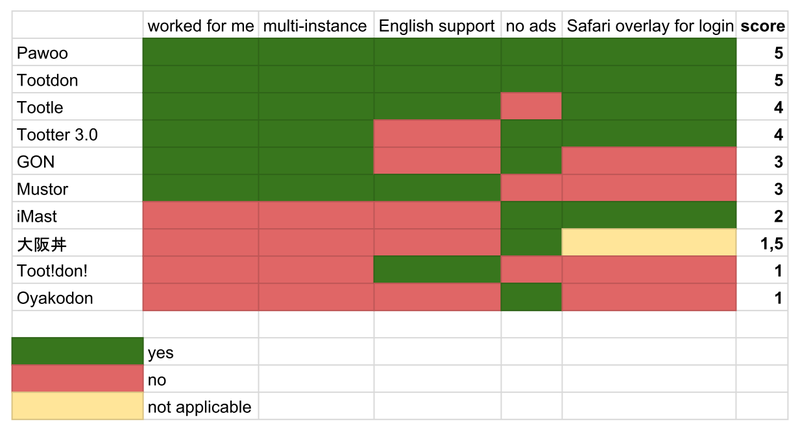 Here’s a chart to summarize all the things I found important about the apps. Please note that some of the apps that didn’t work for me might actually work for you, for example if you’re using them on a phone or if you’re a user on mstdn.osaka. I hope this was helpful to anyone! Please send me a toot @noiob@awoo.space or @noiob@mastodon.social if you find any errors. *I did not check whether the other apps honor the global font size settings.